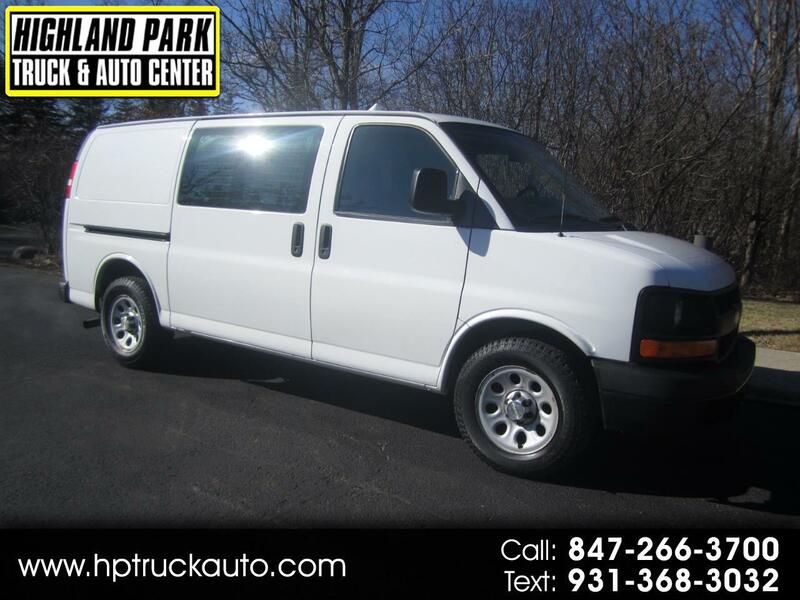 A GREAT RUNNING 1 OWNER 2013 CHEVY G1500 EXPRESS CARGO VAN!!! THIS ONE OWNER VAN HAS BEEN FLEET MAINTAINED AND SERVICED!!! IT IS SUPER CLEAN IN AND OUT!!! THE ECONOMICAL 4.3L VORTEC V6 RUNS GREAT!!! AUTOMATIC TRANSMISSION SHIFTS AS IT SHOULD. VAN DRIVES NICE TIGHT AND STRAIGHT. TIRES GOOD ALL AROUND. NICE INTERIOR RACKS AND BINS. A NICE ECONOMICAL 2013 CHEVY G1500 EXPRESS READY TO WORK!!! MANY GREAT VANS AND TRUCKS IN STOCK!! !